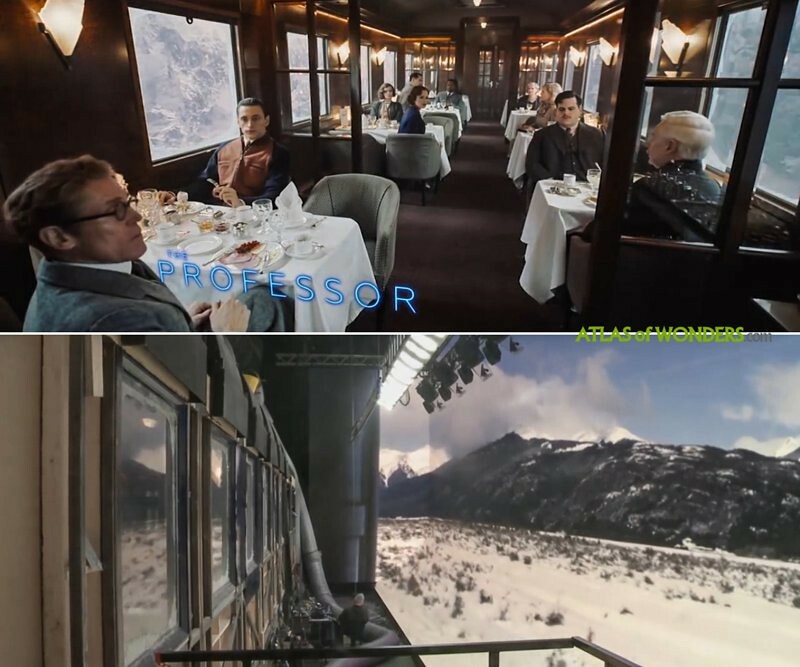 Filming Locations: Where was Murder on the Orient Express filmed? Istanbul, 1935. Detective Hercule Poirot, embarks on the Orient Express headed for London. During the second night of the journey the train crosses a region of the Balkans under heavy snowfall. The following morning one of the travellers, a rich American businessman, is found dead in his compartment, killed by twelve dagger shots. The train is blocked by the snow and Poirot takes on the task of investigating the case. Based on the brilliant book first published in 1934 by Agatha Christie, the new adaptation directed and played by Kenneth Branagh is a great opportunity to time-travel back to the days of railroad glamour. The movie contains a pantheon of celebrities including Johnny Depp, Michelle Pfeiffer, Penélope Cruz, Willem Dafoe, Judi Dench and Daisy Ridley. 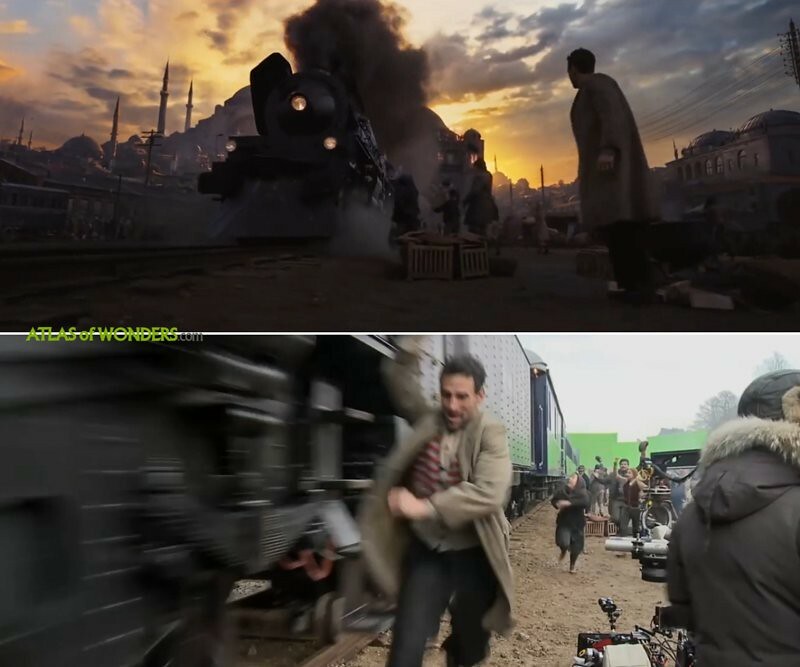 However, no filming took place in Turkey; The interior of the station was completely recreated in a wondrous set in Longcross Studios in UK. 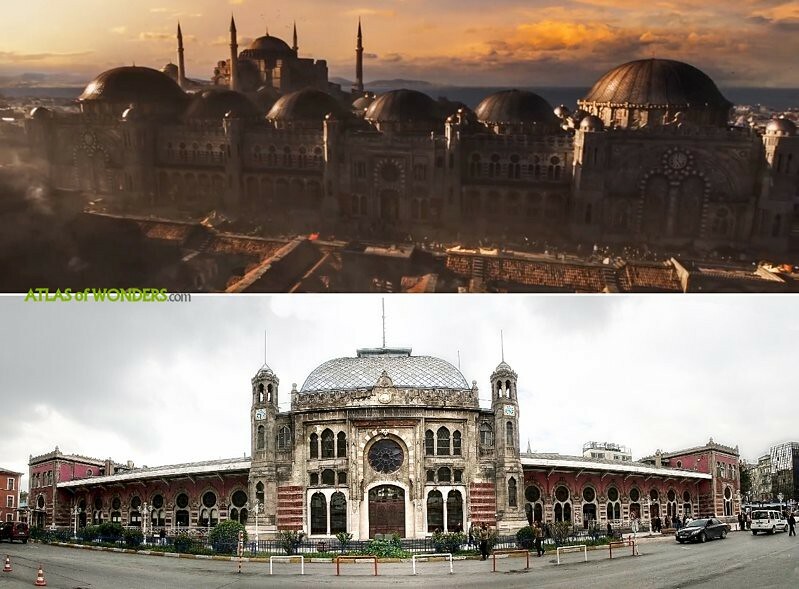 The mosque, the twilight sky and many other elements were added using CGI. Many scenes where shot old-school style using a projector in the windows of a coach built in a soundstage. 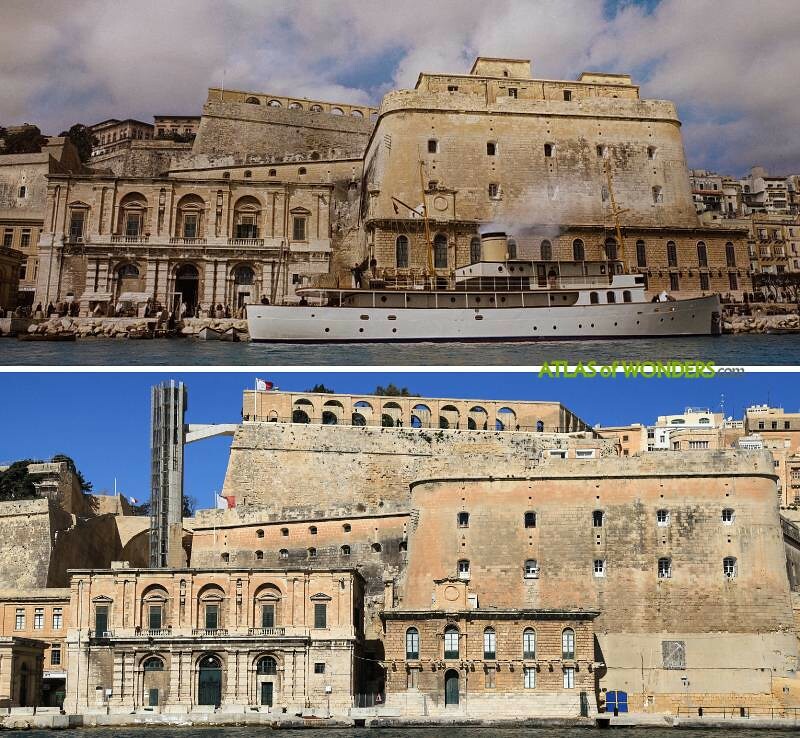 Instead of using digital cameras, Branagh decided to film with the last four 65mm cameras in the world. 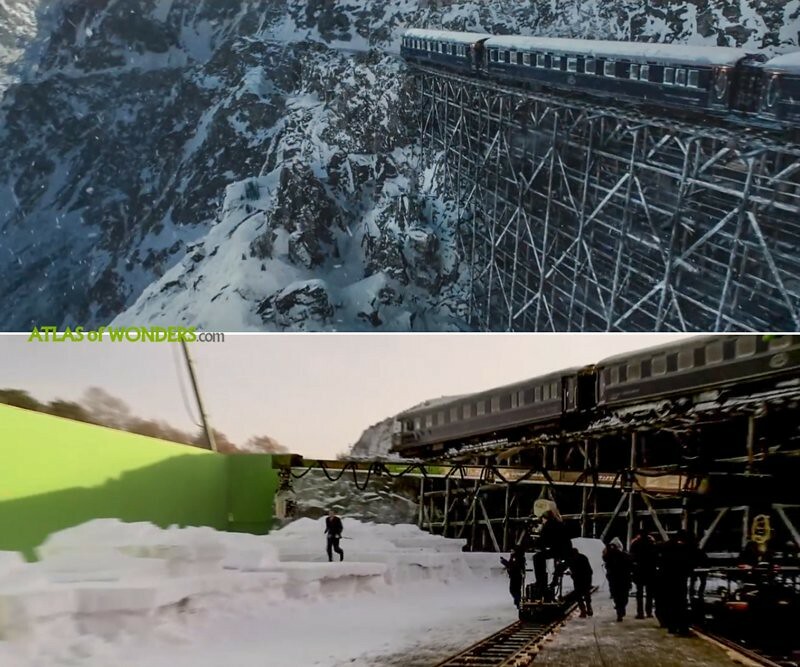 The beautiful Brod railway station is also a set built in the studios. Landscape footage of the mountains and backgrounds was filmed in New Zealand. 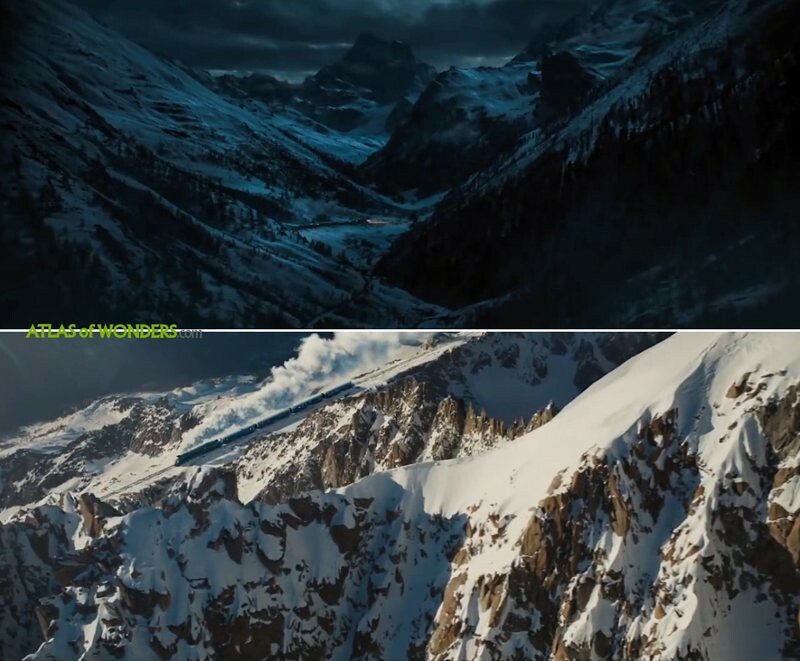 Some local newspapers reported that some filming took place in the Great St Bernard Pass, at the border between Italy and Switzerland. 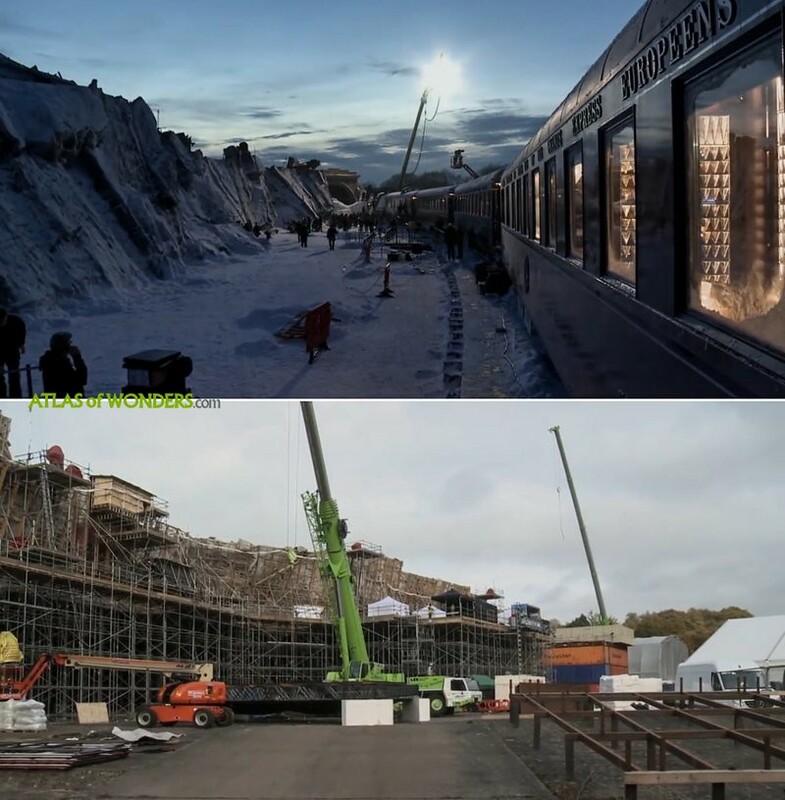 Can you help to improve this article about the filming locations for Murder on the Orient Express? Vinkovci and Brod are Croatian cities placed in the Pannonian basin not in the mountains. Brod I suppose is short from Kostinbrod which is a city in Bulgaria on the railroad to Belgrade. 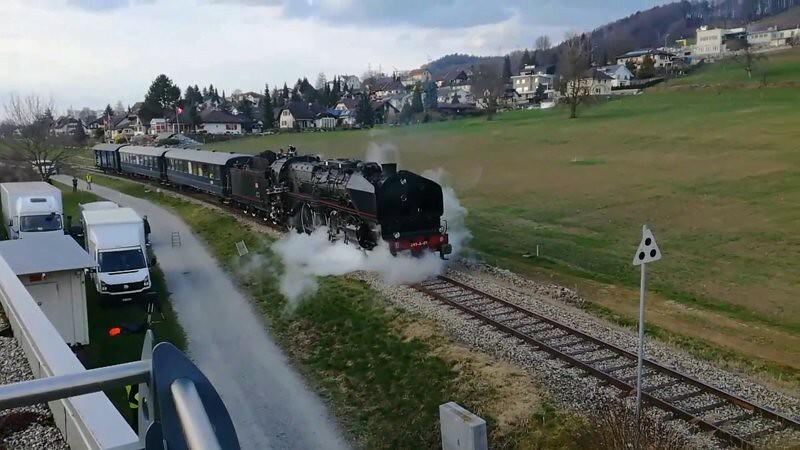 Nope, it's short for Slavonski Brod, as seen in a movie train passes thru Vinkovci (which is in croatian plains) and it's on the way to Slavonski Brod, also in plains. Also in the novel train is stopped by snow drift, located in the plains between Vinkovci and Slavonski Brod, not by avalanche. Thank you very much for this article. I started my search after seeing the end scene at Brod station and noticed the forest were not indigenous. Your pictures of CGI and additional information was informative. It's really interesting how the film makers makes things so unique that it comes alive on the screen, without even going to places to shoot a movie. Thank you for sharing.